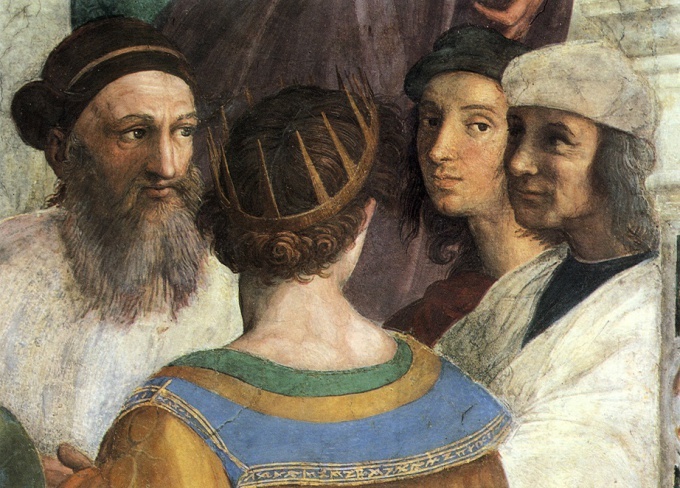 Every artist sooner or later comes to the conclusion that he needed to organize an exhibition of his own paintings. The exhibition can be focused more on the buyer of the paintings , or how the artist to gain more popularity. Trade in these cases is somewhat different, but not too much. When an exhibition, the first question to ask yourself – for what purpose it is planned to conduct the exhibition. If you wish to win popularity among the invited, or your goal is to sell art objects. When this issue is resolved, in accordance with it, are placed further priorities. What amount of money you plan to spend on the organization of the exhibition. This question defines the rest of the things, because if you assign a specific amount that do not have at the moment for specific activities, this amount will determine which exhibition hall you take, how much to spend on advertising, see the media and even what will entertain guests at the exhibition opening. If the show is an aspiring artist, then you can look for free organization. Will be able to sell during the exhibition of paintings bys or not any exhibit will still give impact. Free to make the exhibition possible if you negotiate with bars, banks, corporations, in the halls which to hang paintings. For example, the exhibition in the bar best as an artist and the owner of the establishment: the first gets the opportunity to show their art, and the second additional profits from the visitors of the exhibition that will order. The artist, if you do not even sell, can receive work orders. When the room for the exhibition the question is solved, then the problem arises how to prepare the exposition, where to hang paintingsyou like to make out. You may need the services of a curator, who will be able to help with this issue. Otherwise you'll have to rely on your taste and the characteristics of the premises. Exhibition ready, opening day appointed, it remains the most important – visitors. You need to let people know that you have arranged the exhibition, otherwise what was the point of all. You'll need to organise is. You can advertise on radio, in Newspapers and on the Internet. Also today, a very popular social network. There are a lot of projects on the events. Create meetings for his exhibition, and many people will visit it, learn about it from the Internet, this method of advertising is free. If you are an aspiring artist and works you a little while, but the exhibition I want, try to find like – minded people- a joint exhibition will give the necessary number of paintings, and with colleagues to communicate will be helpful. 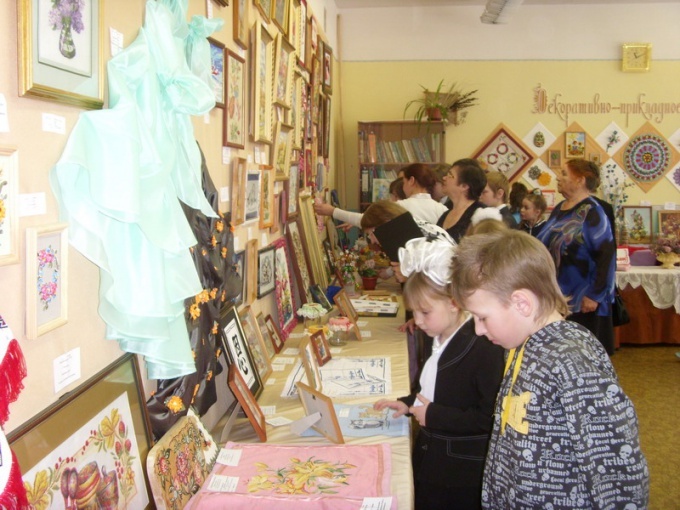 Exhibition of works in a kindergarten or school is a very important event not only for children but for teachers as well as parents of pupils. From the design of the exhibition depends on the perception of children and the mood of the audience. In the design of the exhibition of children's works, it is necessary to consider the title of the exhibition (sign). It should reflect the theme of the exhibition, to be tastefully decorated. At the same time, a sign should not distract the viewers ' attention from children's work. In addition, place the announcement of the opening of the exhibition. In the organization of collective exhibitions stick to one style. All work must be signed (name, author, age group). Signature should be done in one font, in one color, on sheets of the same size and color. All work place so that they do not overlap each other. The audience should be able to view all crafts in detail. Higher work position in the far background. DIY lower front place. This staggering DIY will provide a smooth transition from one exhibit to another during the inspection. When you make a show of Handicrafts made from natural material (for example, from vegetables, fruits, moss, etc. ), keep in mind the fact of damage of the material used. Daily review DIY, eliminating spoiled work. As a rule, the validity of such exhibitions limited. Organizing a personal exhibition, also pay attention to the clearance signs. It also spells out the exhibition's title, surname and name of author of work, his age and visited the group. Each work must be completed and signed. When visiting the exhibition, viewers need to work a guide. It could be someone from teachers or parents. Solo exhibition may present the child – author (i.e. age). It gives a sense of confidence to the child, teaches him to Express their thoughts, to communicate them to other people. After visiting the exhibition viewers, invite them to write a review about the exhibition. This will help to identify positive and negative aspects in the organization and to prevent possible errors in the future. In addition, the positive feedback will be for children high assessment of their work.